Sandwiches are food items consisting of one or more types of food placed on or between slices of bread, or more generally any dish wherein two or more pieces of bread serve as a container or wrapper for some other food. The sandwich was originally a portable food item or finger food which began its popularity primarily in the Western World, but is now found in various versions in numerous countries worldwide. 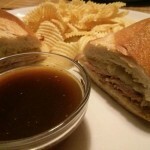 Hope you enjoy the following Sandwich recipes. 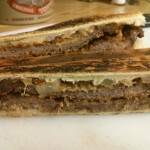 Pan con Bistec (Cuban Palomilla Steak Sandwich) is by far one of my favorite sandwiches. Thinly sliced steak that is tenderized, marinated, fried in olive oil and then topped with sauteed onions and pressed to a buttery golden brown. Just thinking about it makes my mouth water! 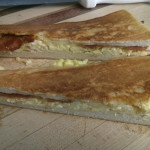 This Cuban Bacon Egg Sandwich is a great way to start your day. Couple it with some Cafe con Leche and you will be in heaven! 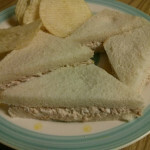 This Classic Tuna Egg Sandwich recipe is by far my favorite version of the popular sandwich. It is simple, quick to make and delicious! A Medianoche Sandwich consists of ham, roast pork, Swiss cheese, dill pickles and mustard. 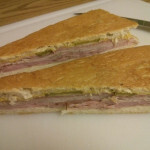 It is a close cousin to the Cuban sandwich, the main difference being that a Medianoche is made on soft, sweet egg dough bread similar to Challah rather than on crustier Cuban bread. 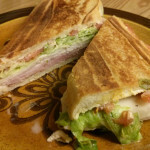 This West Tampa Cuban Sandwich recipe is the way that I have enjoyed most of the Cuban sandwiches I have eaten in West Tampa for over 40 years… You just can’t go wrong with this version of the popular sandwich. 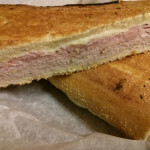 The Original Cuban Sandwich is a variation of a ham and cheese originally created in cafes catering to Cuban cigar workers in the early Cuban immigrant communities of Florida: Key West, Ybor City and West Tampa. 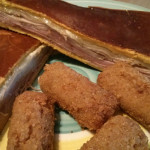 The Miami-style Cuban Sandwich is a version of the Original Cuban Sandwich which does not contain Salami or Mustard, but is made pretty much the same and contains all other ingredients. 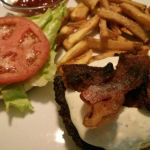 The Bacon Blue Cheese Burger is one of my all-time favorite burgers. So many good things about it – the bacon, the blue cheese, the burger itself. When you put them all together in this recipe, your taste buds get blown away. 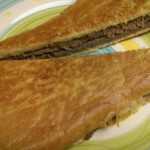 Making a good Pan con Bistec Empanizado (Breaded Steak Sandwich) is really easy if you pick a good cut of meat, tenderize it, marinate it, bread it with good ingredients and lightly fry them with care. Serve it on some fresh Cuban Bread, with fried onions and Mayo and you will be in heaven. YUM!! 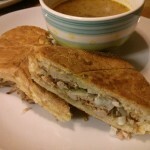 This Mojo Roasted Pork Sandwich will melt in your mouth. You haven’t lived till you have had one of these sandwiches. A French Dip Sandwich is great way to use some of that left-over Roast Beef we often end up with after a holiday or special dinner.